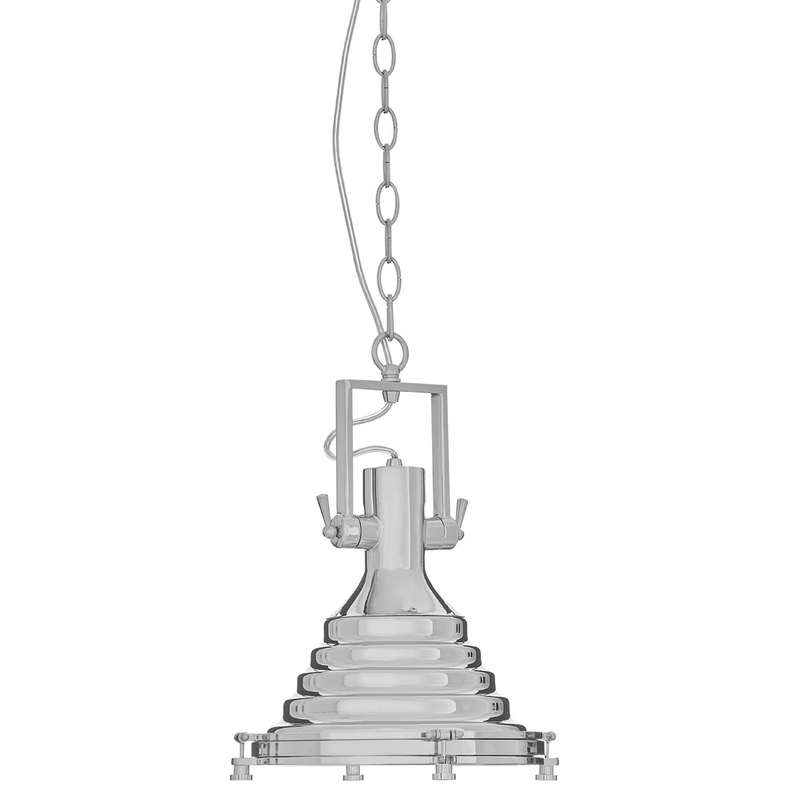 We are very proud to introduce this fantastic Lexington Silver Pendant Light. This pendant light would fit lovely in a living room or kitchen, certainly creating a lively and interesting atmosphere. This piece has a very sleek design that's inspired by an industrial style, this style is further complemented by its chrome, glass and iron materials.